TengZhou BangMei Glass Co., Ltd(Hereinafter referred as “Bangmei”) is a modern high-tech corporation producing slap-up exporting silver, aluminum mirrors, as well as various bathroom mirrors. “Based on the domestic, move towards the world” is all staffs’ goal. Since establishment, Bangmei has been dedicated to develop and produce high quality products, tightly adhering to the management tenet of “quality is the corporation’s lifeline”. With excellent products and good service, Bangmei gradually realizes steady development and growth to gain a foothold in domestic market. 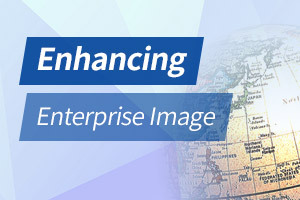 Now the company is actively expanding overseas market. The 9th International Glass Industry Expo of India was held in Mumbai on 8-11, Dec.2011, which was the largest and most professional international exhibition in India. 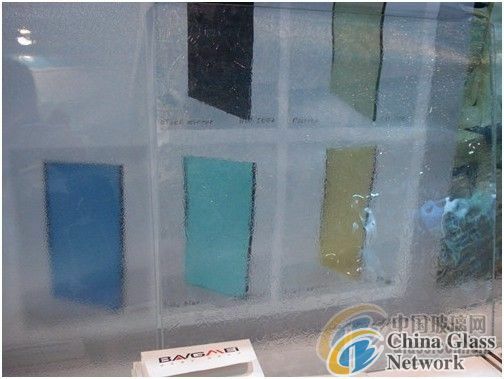 Focus on the wide developing prospect of India glass market, Bangmei also took part in the exhibition. It displayed various silver mirrors, aluminum mirrors, colored mirrors, patterned glass and paint glass etc. 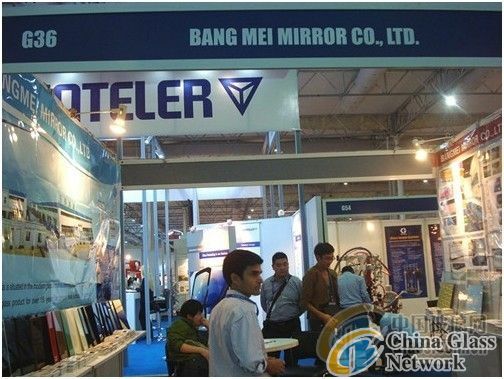 Bangwei attracted numerous audiences with various beautiful bathroom mirrors etc. Besides the displayed products, visitors also had strong interest in Bangmei’s production technology. Bangmei has advanced full automatic silver mirror production lines, large vacuum double-room aluminum production lines, along with a series of professional equipments for the glass mirror deep processing such as glass mirror beveling machines, lace machines, straight edging machines and special edging machines etc. It also is first to pass the certification of ISO9001quality system in the domestic industry. Bangmei strictly obeys the quality policy of “ customer foremost, continuous improvement, create excellent product, service timely” in the operation and management. With the excellent products and perfect service, Bangmei wins the advantage in the advantage, as well as customers’ trust and favor.